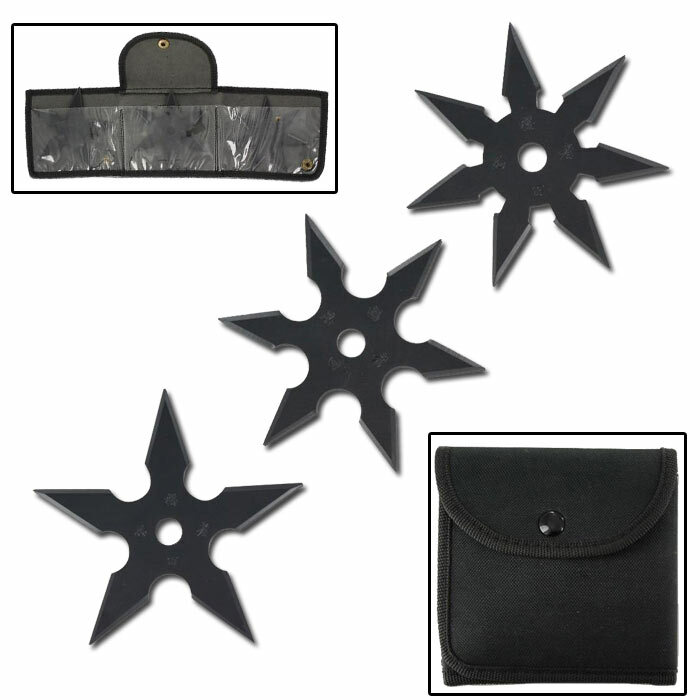 Marvel in fascination as you throw the diverse pack of stars in the Kohga Variety Throwing Star Set. 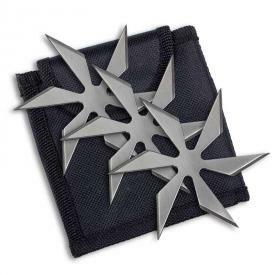 These 3.5" stars are made from stainless steel and provide style with deadly accuracy. 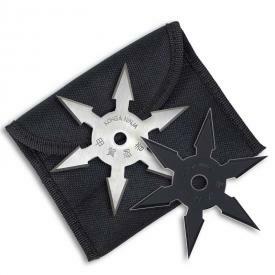 There are three stars in this stainless steel ninja star variety pack, each with its own unique number of super sharp points. There's a five-point shuriken, a six-point shuriken, and a seven-point shuriken. Each ninja star weighs 2 ounces and has kanji written along the center. If you are looking for a diverse pack of stars to throw, then the kohga variety throwing star pack is exactly what you need. 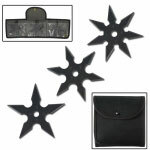 These ninja stars are perfect for throwers of all skill levels.